Screenshot from shortly after midnight on March 1, 2012. 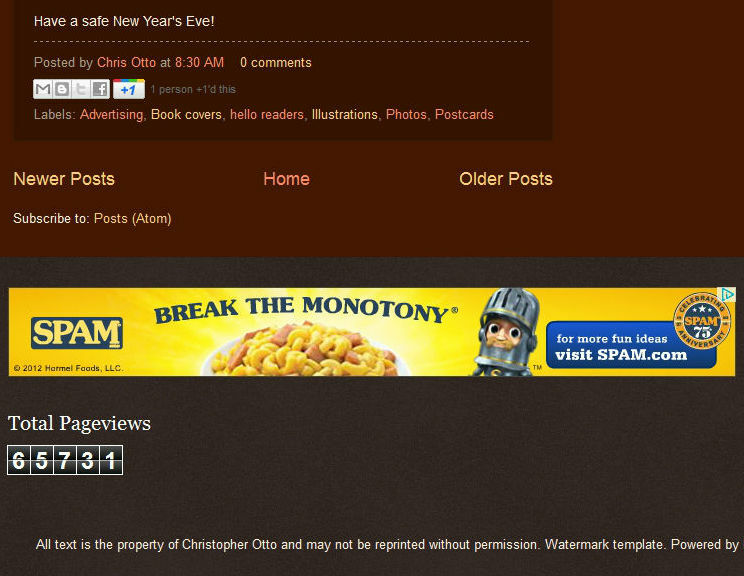 Late last night, I became perfectly giddy when I came across this advertisement for Spam -- Spam! -- on Papergreat. I'm a big Spam fan, so it's way cool to see it right here alongside the ephemera. 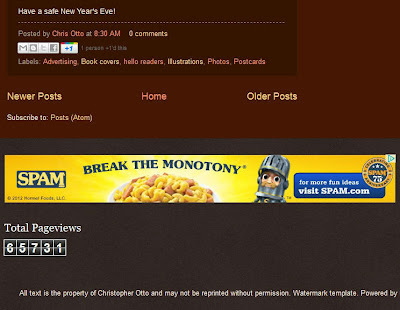 Meanwhile, it's clearly time for Underwood's Deviled Ham to step up and respond to Spam's advertisement. Underwood has gotten a lot of free love here on Papergreat. It's time for them to put their money where their meat is! Or, ahem, something like that. See Time magazine, 3/12/12. P.74. Upper right corner.